1. This one is probably the most obvious - Flickr is a huge source of inspiration. I tried to Google search just how many photos there are stored on Flickr - and unusually, I couldn't find the answer! (I thought Google had all the answers!). Sometimes, I am looking for something a bit more specific. I like seascapes, and nature, so I might want to target my inspiration search in that genre. So you can search on Flickr for "sea" or "beach" and at the top, select "Interesting" (instead of relevant or recent). Sometimes I want to be even more specific - that's where groups are great! There is a "Seascapes and Shorelines" group where everyone adds their photos that fit that theme, to the group. Or there is a "Birds of the Northern Territory" group, a "Darwin" group or a "Black and White" group. The list is endless and browsing through other people's photos is a great way to get ideas. 2. Flickr-ites give great feedback! Sure, there are lots of "great shot!" comments going around, but there are also a lot of people willing to offer very helpful feedback - constructive criticism, what's good and what's bad about your photo and how it can be improved. This is invaluable knowledge to a learning photographer. Of course, you can get these comments from other social networks too, but Flickr for me offers an advantage. It is specifically for sharing photography. Everyone there has an interest in taking photos. A lot of people there have a lot of experience in photography - some are pros, some sell their work on the side, some are experts in Photoshop... But all have an interest specifically in great photos. This makes their attention to detail in terms of each photograph much more advanced. I find feedback I get on Flickr and Facebook completely different, for the exact same photograph. The general population looks for a lovely photo of somewhere they can relate to, somewhere they have been or something they could imagine hanging on their wall. Flickr-ites look at the photographic merit as well, the technical qualities and the compositional arrangement. 3. I think this is probably another of the biggest benefits of Flickr - the groups. As I mentioned above, on Flickr there are a bizillion different groups for all interests. Not only are these great for sharing photographs with the photographers interested in that genre, but there are also discussion threads. These discussion threads provide fountains and mountains (!) of knowledge! 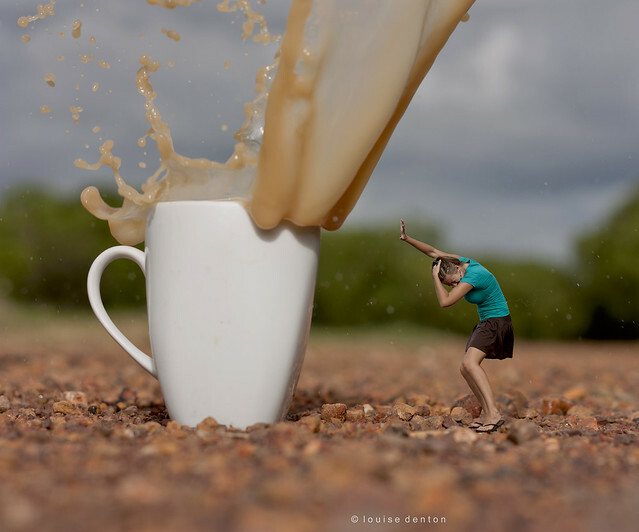 Mini forums within a huge network of Photographers. Flickr group discussions cover a huge range of topics, and if I ever have a photography related question Flickr groups are the first place I search. Whether it's "what lens is best for landscape photography" or "why are there spots appearing in my photos" or "what bird is this" or "how do I do this in Photoshop".... The knowledge stored there is completely priceless! As I mentioned earlier, Flickr groups are a great source of inspiration. They do this in more ways than one! There are a number of different groups on Flickr dedicated to taking a "photo a day" or a "photo a week" and some of these groups set periodical challenges or themes, or assignments set to a particular style. Everyone in the group submits a photo. Not only does this stretch your own imagination (e.g. 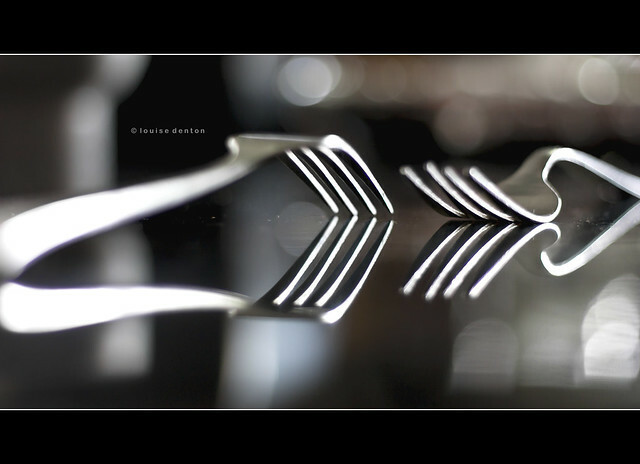 how do I take an interesting photo of a fork?) but you get to see so many different interpretations of the same thing. These challenges really help you to think outside of the box. Constantly striving for that better angle or concept. Some of my favourite shots have been as a result of these daily "themes". Even now I still do them every now and again to get the imaginative juices flowing! Other valuable groups on Flickr include "critique" groups. Not only do you offer your photos for others to critique, but you must get involved and offer thoughts on the other member's photos. For me, this is often more valuable than getting critique on your own work! It really makes you think about what you do and do not like about the photo in question. It really helps hone your compositional skills, and reading other people's comments gives you great ideas in what you should and shouldn't be looking for in the quest for that shot. So, if you haven't already joined Flickr - why not! Oh and it's free! For 1TB of storage. (August 2013).